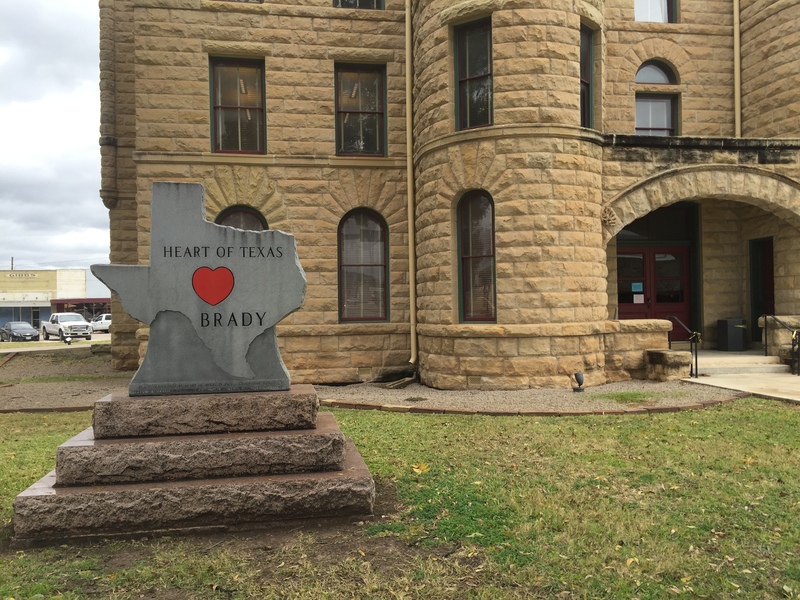 Brady, the county seat of McCulloch County, refers to itself as “The Heart of Texas.” That’s because it is the town closest to the geographic center of the Lone Star State. The town was originally named Brady City after Brady Creek, which runs through the town. However, when the town was incorporated in 1906 the name was shortened to Brady. The McCulloch Country Courthouse is located in the heart of Brady. Construction of this Romanesque Revival styled building was completed in 1900. 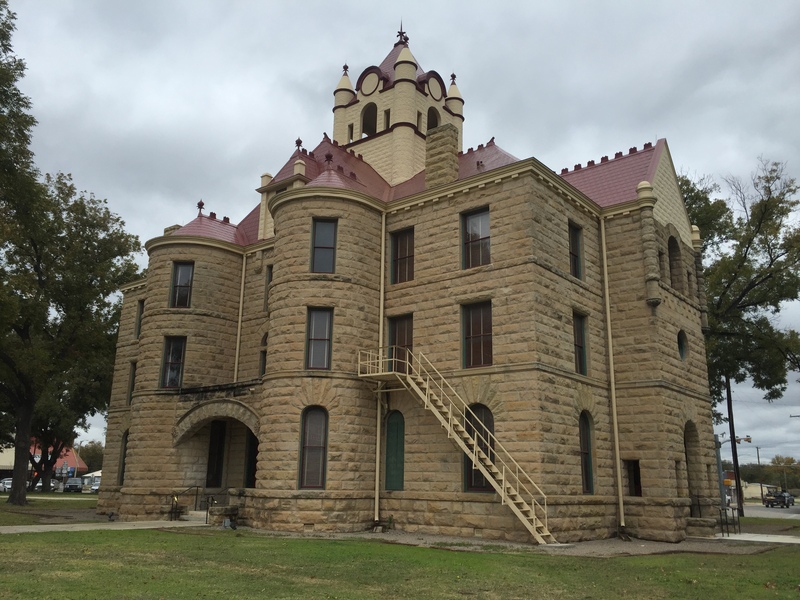 One odd feature of the building is that it has no clock in the tower — making its tower truly “timeless.” A marker on the courthouse lawn proudly displays the town’s Heart of Texas moniker. 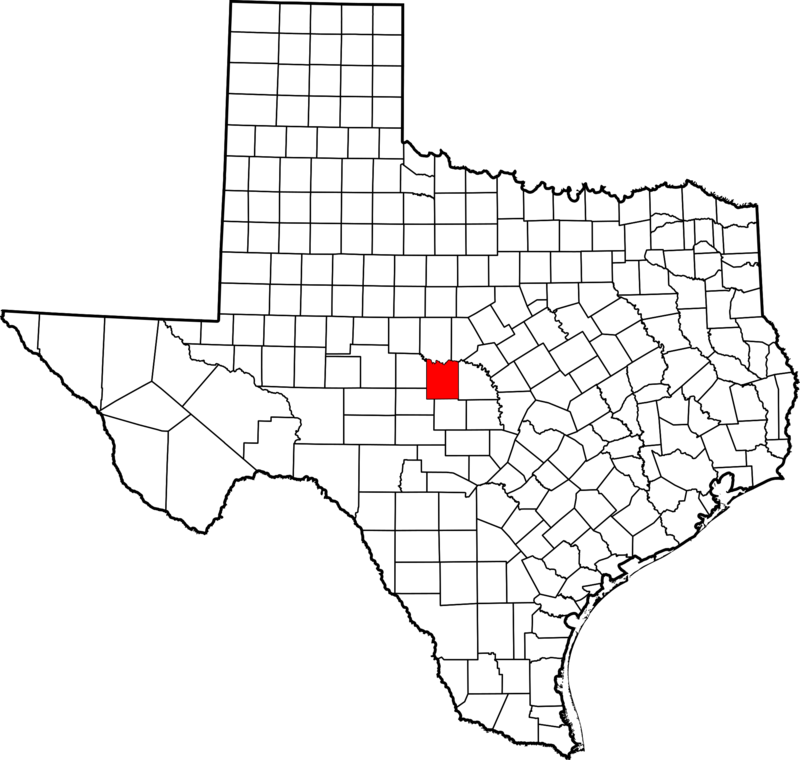 One interesting fact about McCulloch County is that during World War 2, there was a German prisoner-of-war camp located three miles east of Brady. After the surrender of General Erwin Rommel’s Afrika Korps in April 1943, three-hundred German prisoners were transported to this camp deep in the heart of Texas. They remained there until 1945 when the United States began the process of repatriating these former prisoners of war. As for the geographic center of Texas, it is actually located about 20 miles northwest of Brady. A historical marker off Highway 377 states that the actual smack-dab-in-the-middle coordinate is five miles from the marker on a private ranch. I’m sure that working out the location of the geographic center of Texas had its challenges, especially given the Lone Star State’s distinctive shape. 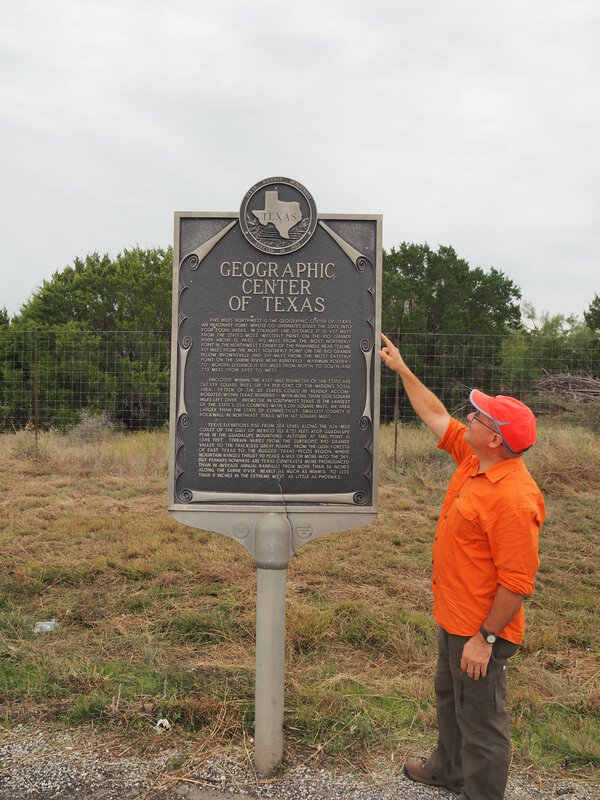 The highway marker is as close as most Texans will ever get the the actual geographical center. I’m ok with that. Standing at the marker near the point where the imaginary lines that divide Texas intersect was pretty cool. No matter which way you face from this center point, you get the idea that Texas is really big. In fact, fifteen of the fifty states could fit within Texas’ borders with more than 1,000 square miles left over. That’s a lot of space within the state’s distinctive outline. To give you an idea of the vastness of Texas, the center point of the state is located 437 miles from the state’s most westerly point, 412 miles from the most northerly point, 401 miles from the most southerly point, and 341 miles from the most easterly point. Long distances no matter which way you face and even greater geographical diversity depending on which direction you travel. If you happen to have a bucket list of places to see in the Lone Star State, be sure to include a visit to the geographic center of the state. And, of course, be sure to stop in Brady to see its beautiful courthouse. They just don’t build them like that anymore! I’m certainly glad I visited the heart of Texas. As a Texan, I will always have Texas in my heart. This entry was posted in Road Trips and tagged Brady, Geographic Center of Texas, The Heart of Texas. Bookmark the permalink.